Narita Airport has two key rail connections operating between central Tokyo Station and the Narita Airport terminals. JR East’s Narita Express (N’EX) is the fastest option (60 min., ¥3020). The Keisei Sky Liner is the best choice for travel to Ueno (41 min., ¥2470). Airport Limousine buses stop at most major hotels and certain landmarks on the way to central Tokyo (75 – 125 min., ¥3100). Taxis can be expensive depending on your destination. Travelling to central Tokyo costs approx. ¥15000 to ¥24000 by taxi. 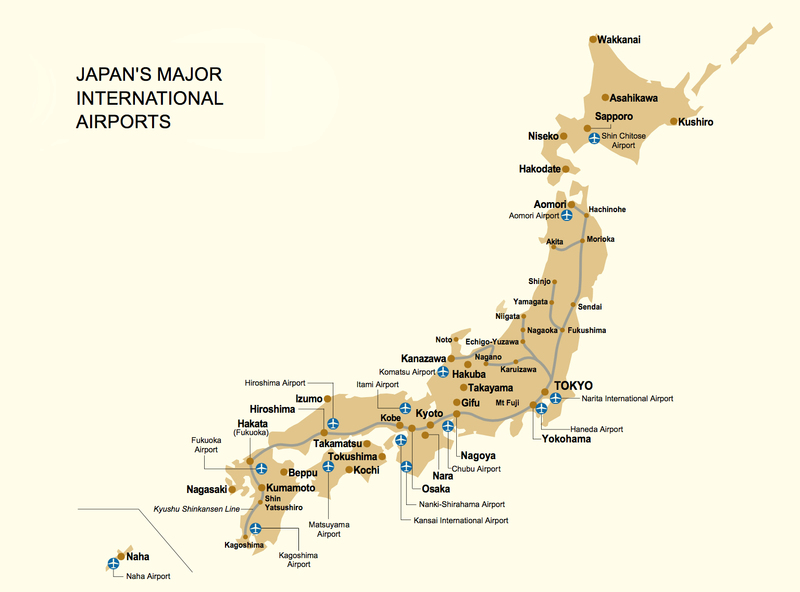 A few domestic flights do leave from Narita, but most domestic flights leave from Tokyo’s Haneda Airport (95 min. from Narita by the Airport Limousine bus).